Okay so, according to my trusty Extensis Suitcase, I have 4305 fonts in my database. That is a lot to our disposal. That is why I tend to studder a little when brides ask me to give them a list of fonts that we have available. There is just no way. I let them know that they can look through our previous work for ideas. If none of them will fit I ask them to look around online and send me a link to pictures of fonts they like, because more than likely we have that font. 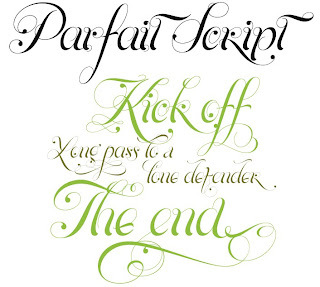 Parfait Script Pro by Maximiliano R. Sproviero, takes influences from the nineteenth-century script Spencerian, and combines them with pointed brush lettering to create a flourishing and whimsical font with over 850 glyphs. Many of the alternate characters have elaborate swirls and curlicues attached, with charming and sometimes dazzling results. 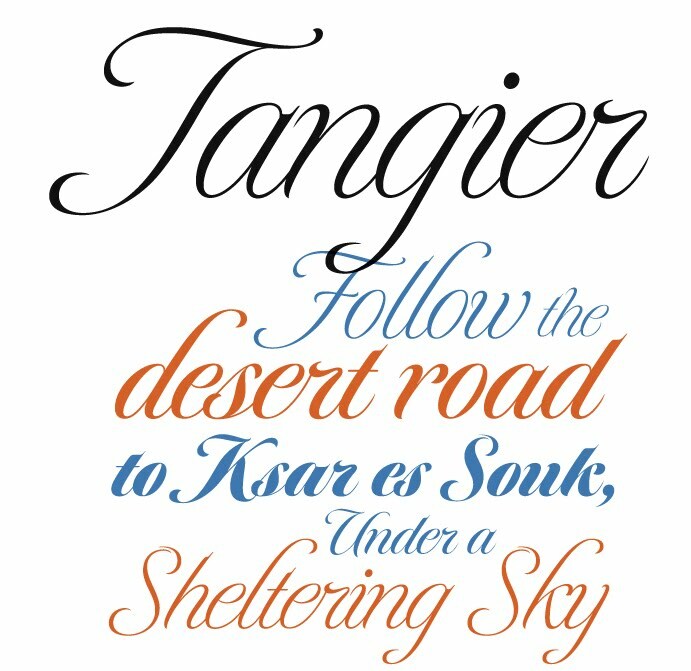 Like Parfait Script above, Tangier, by Richard Lipton, explores the possibilities of the elegant Spencerian form — with totally different results. 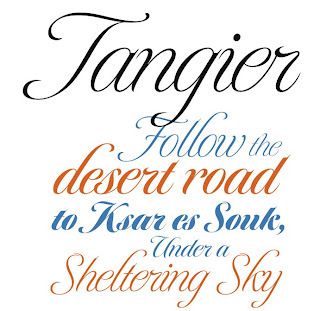 Tangier is a lively yet disciplined family in four weights. 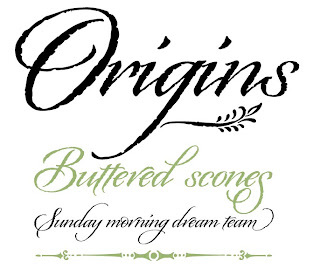 The Black weight, Lipton’s personal favorite, pushes the boundaries for contrast in a script. Captivated by Tangier’s flair and sprightly joie de vivre, Glamour magazine incorporated two weights into their 2008 redesign. 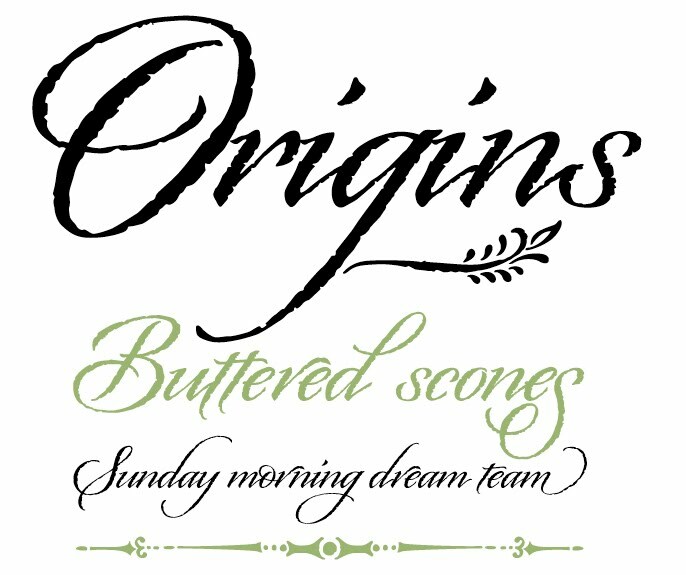 Origins by Laura Worthington, is based on real hand-lettering with a Crow Quill pen on parchment paper, which has given the font natural rough outlines that contribute to its subtly antiquated look and feel. A semi-connected calligraphic font with a confident, regular flow, Origins features gracious ascenders and descenders for an elegant and somewhat formal look. Your words encouraged me to keep working better and better. I am glad you like my font Parfait Script; like you say, it has an enormous work, in order to amaze the one who uses/looks at it. I found your blog from the Etsy 'did you blog today?' thread....Great script fonts. Do you know Filosofia? I'm not sure it's new, but I used to like it when I was doing a lot of graphics for TV. Fontshop has some interesting versions too. Maximiliano - thanks for posting! 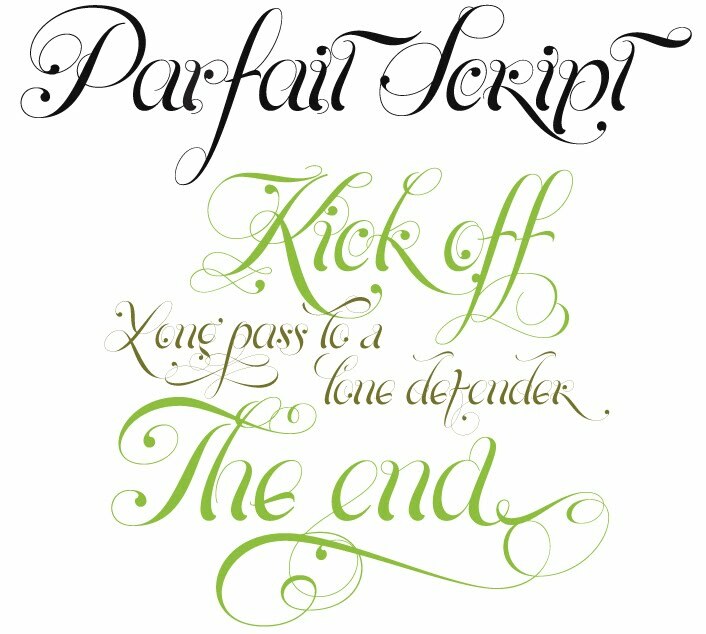 I really love Parfait Script. It goes great on a lot of our wedding invitations! That is such a cool concept!